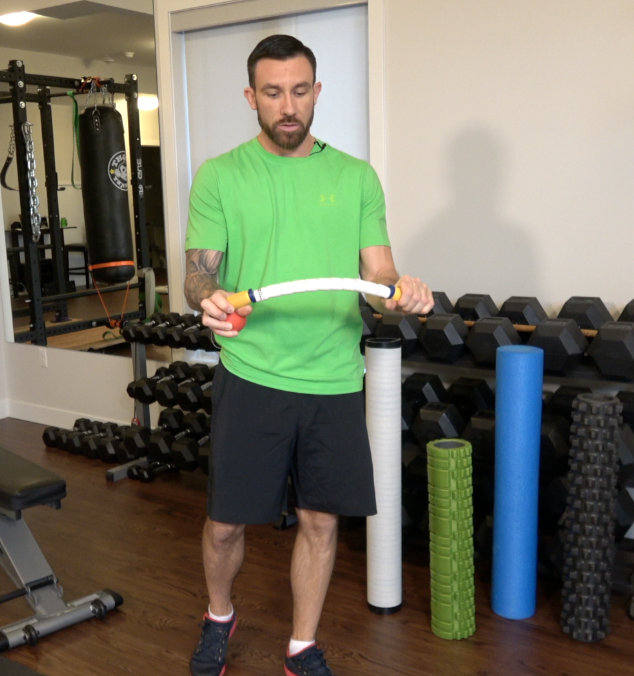 Hey Mr. Trainer… What’s the difference between rollers? 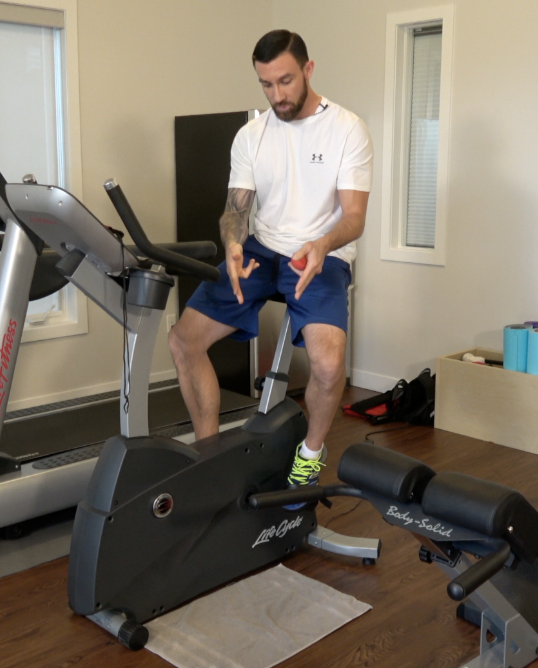 Home / Hey Mr. Trainer… What’s the difference between rollers? Hey Mr. Trainer… How do I get veiny? There are only really two contributing factors to being vascular. One you can control the other you can’t. Vain on veins! 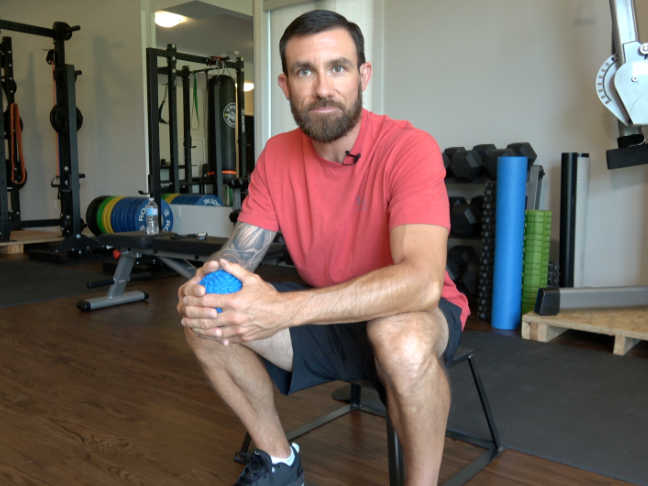 Hey Mr. Trainer… How do I tell a tight TFL from a tight psoas? You do it in a couch stretch ..on the wall. Psoas muscles are often unheard of in many circles. Tight ones are back killers. 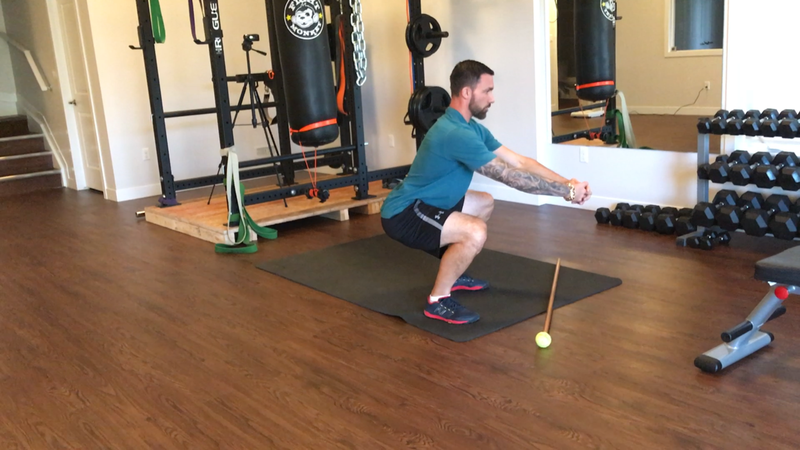 Figure out how tight your psoas is and make a difference by lengthening them. Hey Mr. Trainer… Plantar fasciitis. 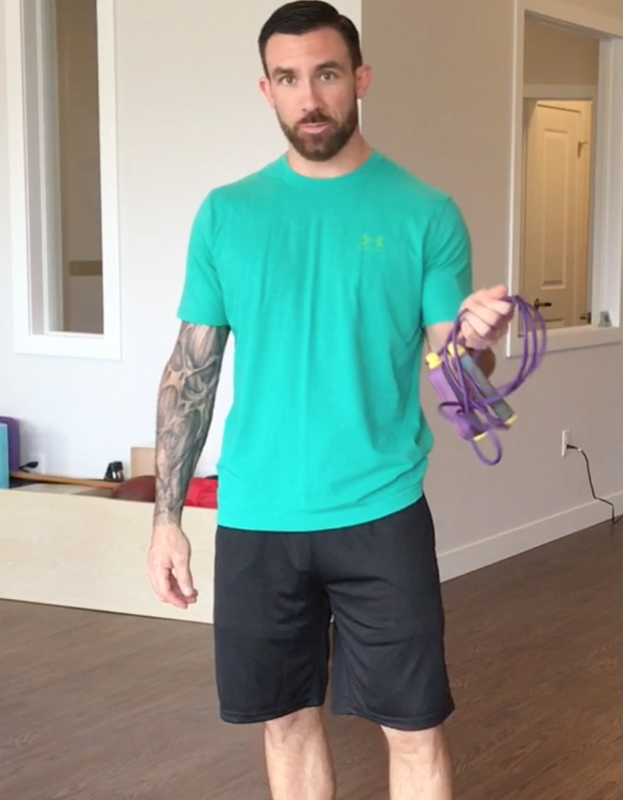 Be proactive with the fascia on the bottom of your feet. Especially for runners. 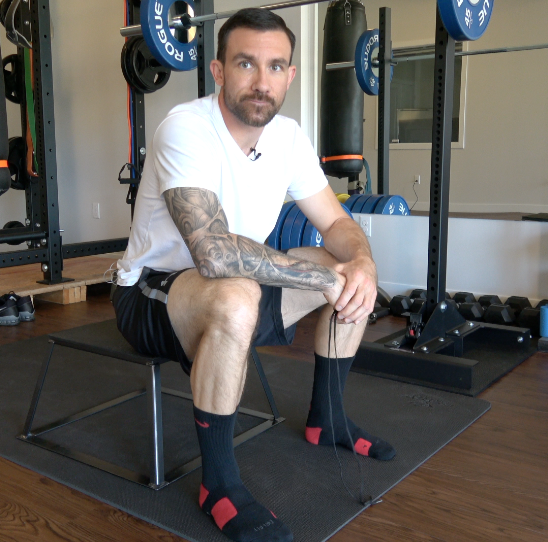 Follow these simple techniques to deal with plantar fasciitis or to be proactive and prevent it. 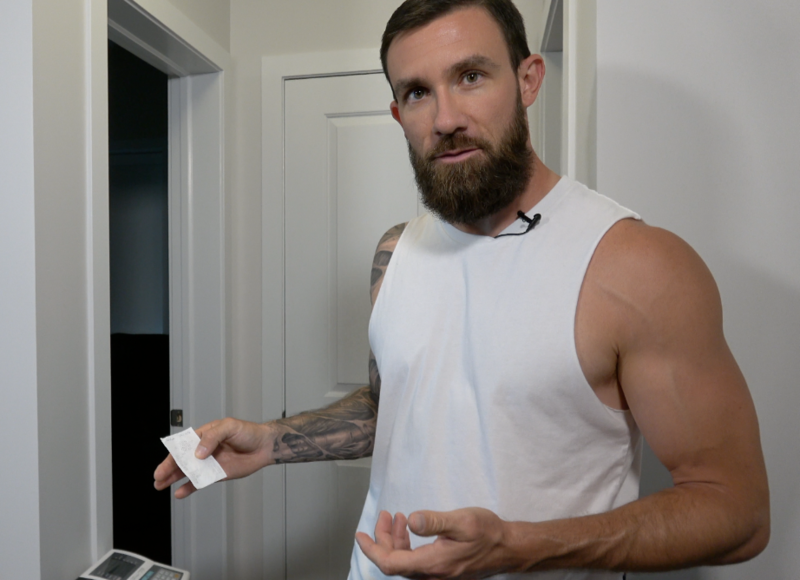 Hey Mr. Trainer… Are body composition scales legit? Body composition scales are a useful tool for tracking 3 important internal ingredients. 1: Hydration. 2: Body fat %. 3: Fat free mass. 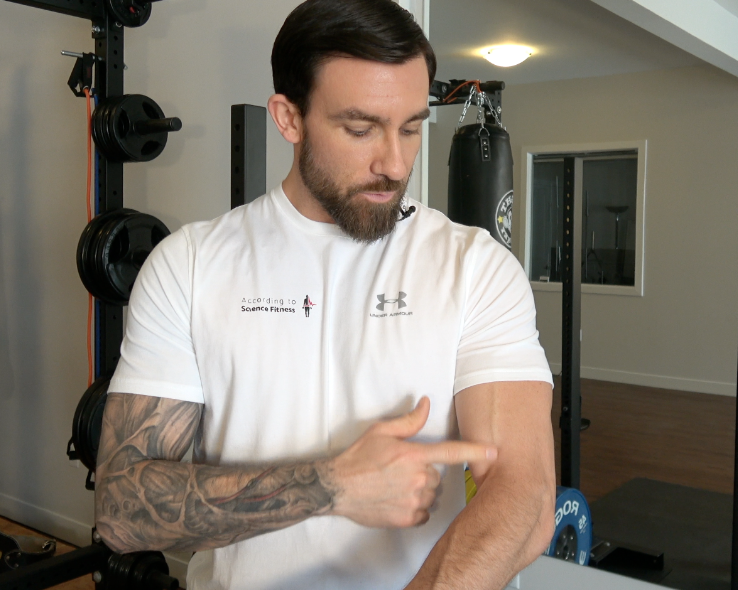 Having cute biceps is one thing, knowing your body fat % is in a healthy range is another. Hey Mr. Trainer… Males vs Females. Males and females are anatomically almost exactly the same. Which means they should be doing the same things to achieve and maintain health and fitness. Males are typically bigger because, hormonally, they build muscle easier and quicker. Females tend to have a slightly higher hip tilt. No, females should not be doing more aerobic exercise than males. 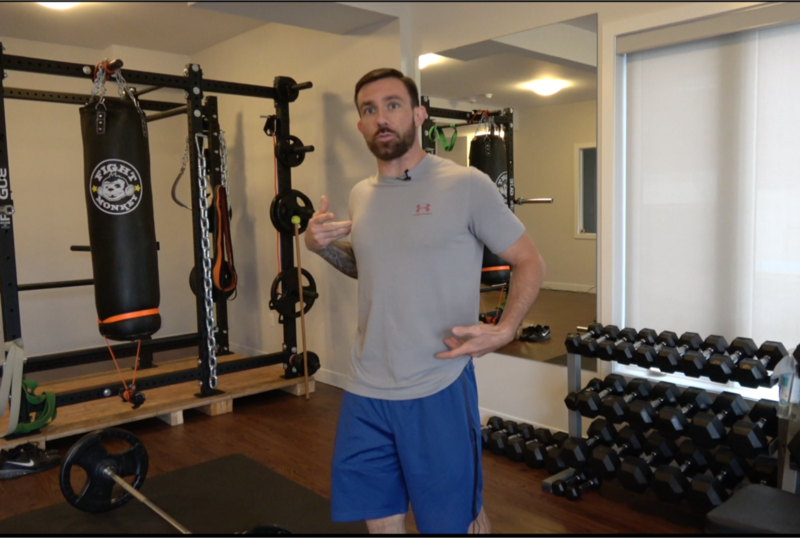 Hey Mr. Trainer… What equipment do you recommend for a home style gym? 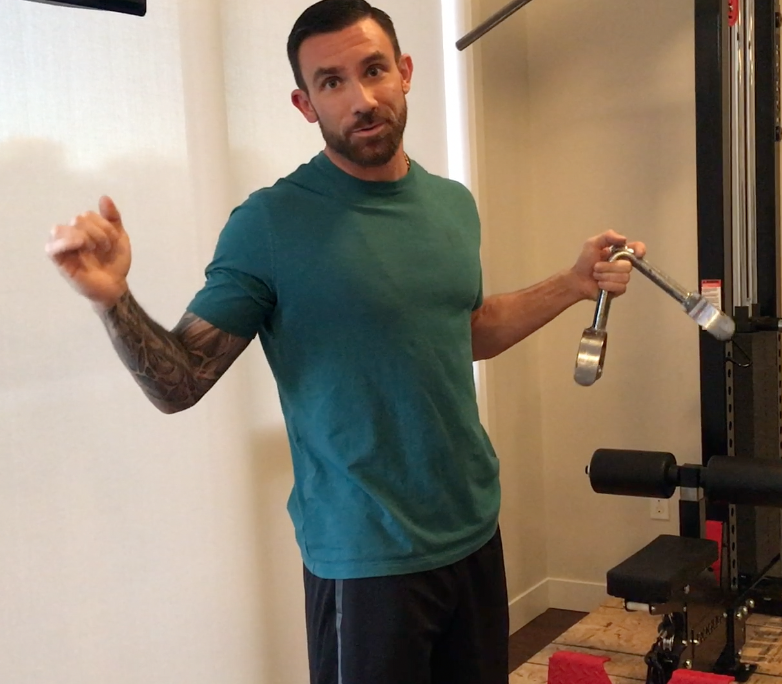 You’ll need 3 main pieces of equipment for a home/garage gym. Sharing is great …unless it’s gym equipment. Wait no more. Hey Mr. Trainer… What is 20% abs on? Protect your spine by contracting your abs 20%. 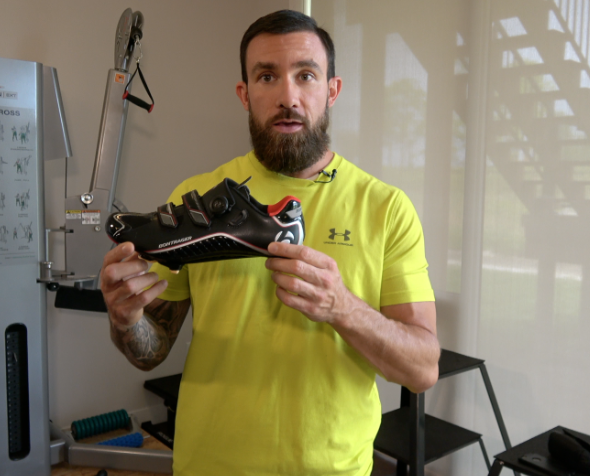 Hey Mr. Trainer… Should I buy bike shoes? Use all of your leg muscles. 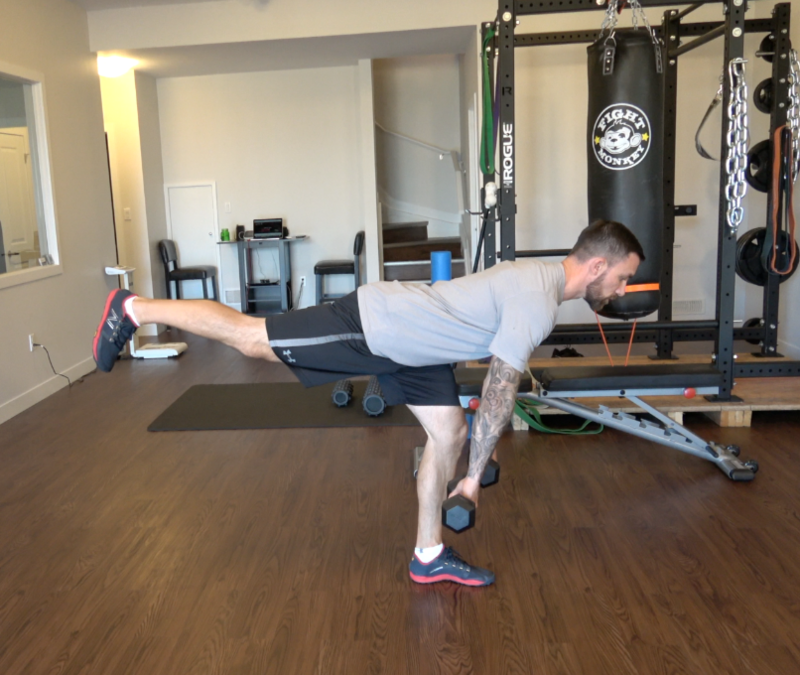 Don’t short change your hamstrings. Hey Mr. Trainer… give me some science to build muscle. Utilize HGH and testosterone prior to isolated days like arm day to grow baby grow. Hey Mr. Trainer… Humans weren’t designed to sit. What’s with the sitting? Sit as little as possible. If you sit, sit properly. Hey Mr. Trainer… What’s the difference? Fat loss vs weight loss. Refine your approach and aim to lose fat not weight. Fat loss is a targeted approach where weight loss is simply more out than in. Hey Mr. Trainer… Can I work out a sickness? Science suggests working out a sickness sounds like a great idea, but isn’t. Be smart and heal up. 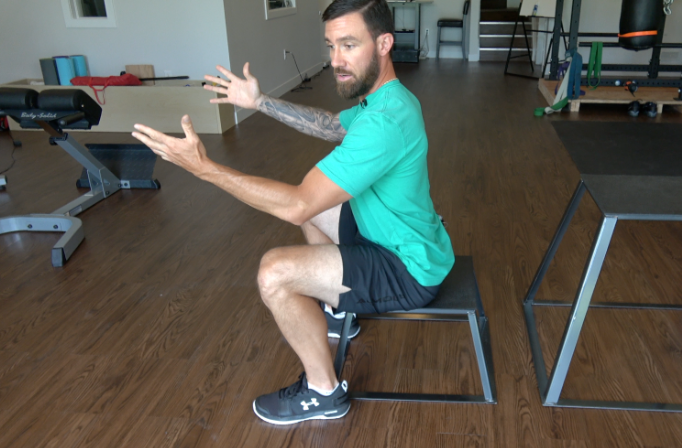 Hey Mr. Trainer… Is sit and reach legit? 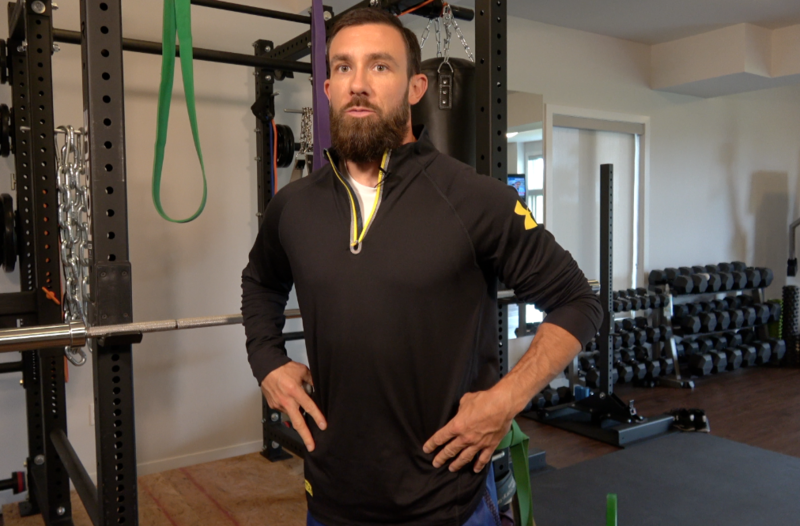 Test your lower back/hamstring range of motion. If you can’t get to 15 you should expect back pain. 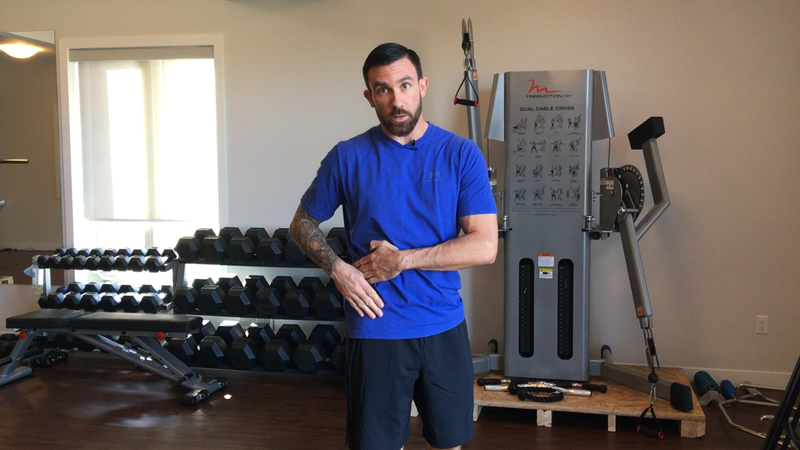 Hey Mr. Trainer… What’s the most common injury in the gym? It’s not squatting, deadlifting or overhead pressing. 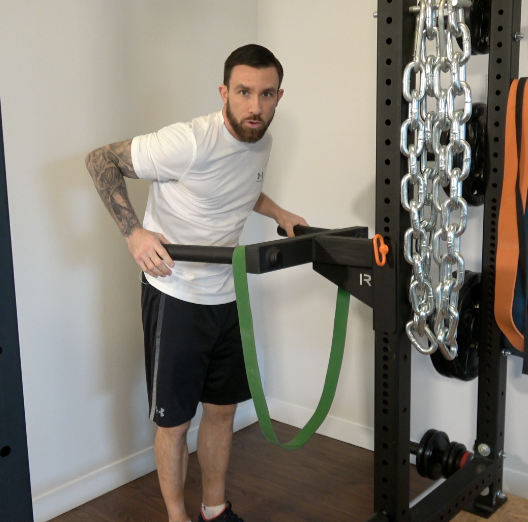 Laziness causes hamstring pulls. Don’t be lazy. Hey Mr. Trainer… When should I tweak/change programs? Change programs every 4-6 weeks ..8 weeks maximum for 99% of all programs. Make at least 1 minor change every 2 weeks to the program you’re currently in. 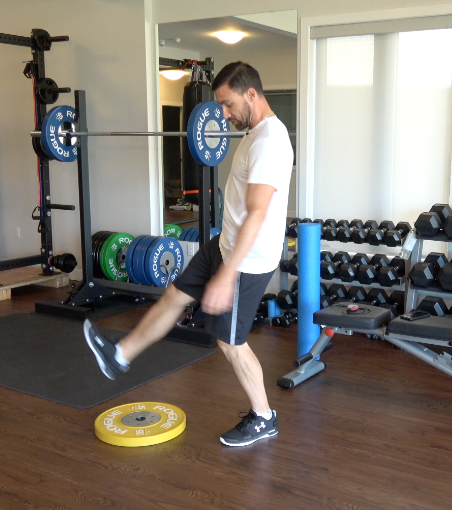 A small stimulus change has proven extremely successful in injury prevention. 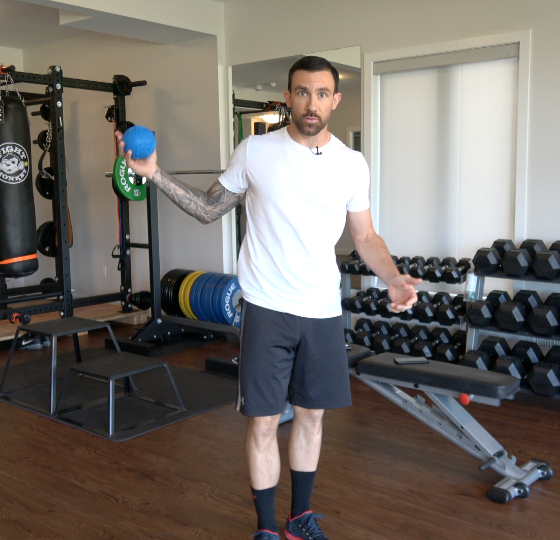 Hey Mr. Trainer… Resistance or conditioning first? Science has shown the difference is minimal. Do first what you’re looking to be better at. 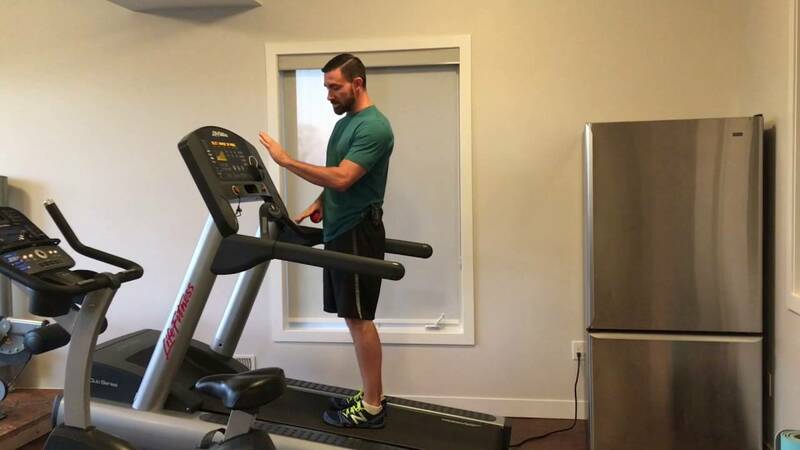 Hey Mr. Trainer… Is incline treadmill the bee’s knees? 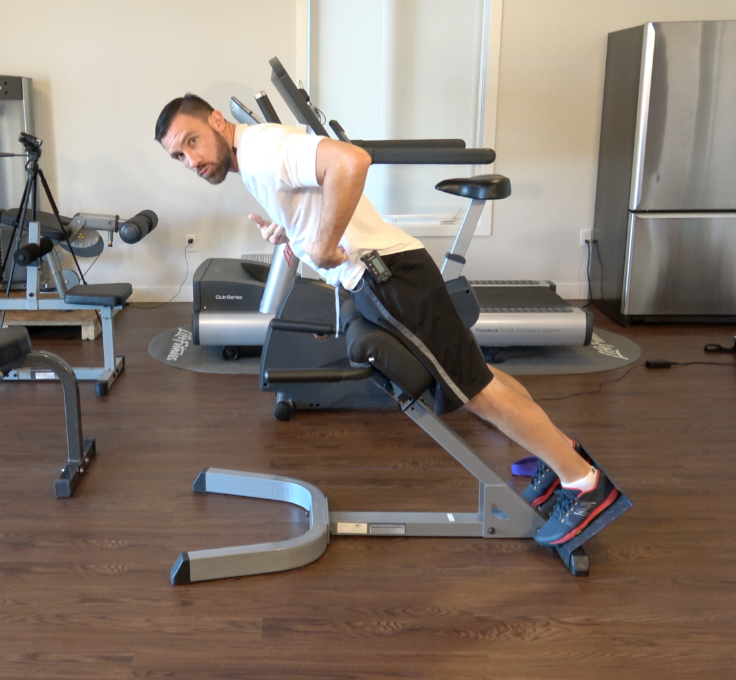 Inclining, whether on a treadmill or a hill outside, forces a more anatomically correct position. It also works the backside of your body more effectively. Make friends with incline. 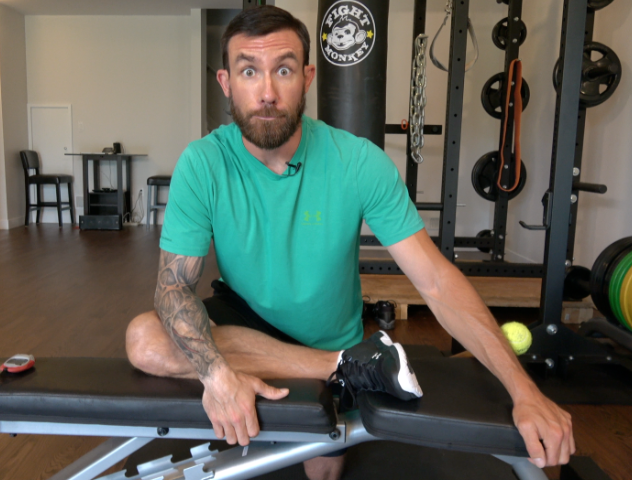 Hey Mr. Trainer… How sore should I be post workout? DOMS isn’t cute. Too sore is a bad thing. Delayed onset muscle soreness is responsible for a ton of injury. 24-48 hours post workout is the marker. Hey Mr. Trainer… What is “happy hour”? Happy hour is the time post workout to take advantage of cells starved for carbohydrates and protein. Take advantage ..the sooner the better. 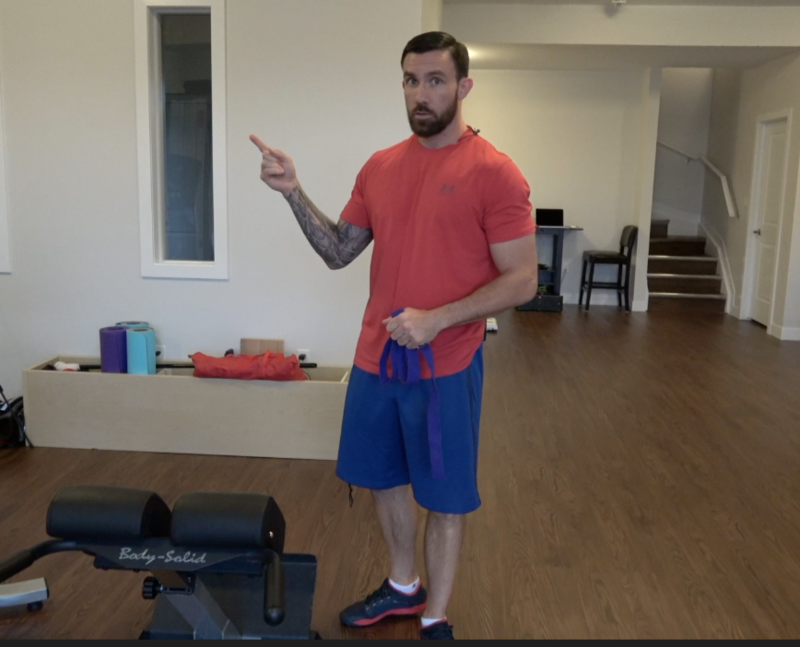 6 more bonafide sled moves. Be conscious of your position, perspire and have fun. Enjoy. Hey Mr. Trainer… What is the best position to sleep in? Give yourself the best chances of the best sleep. 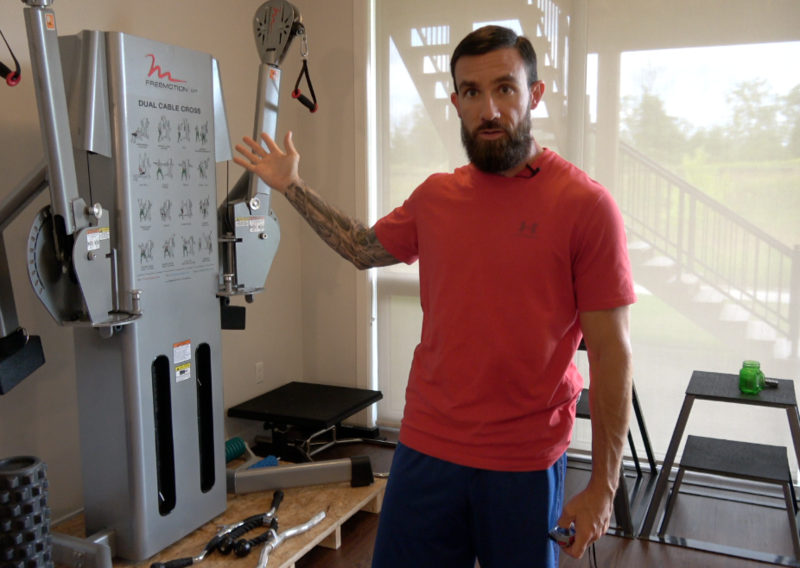 Hey Mr. Trainer… How do you load a split squat? 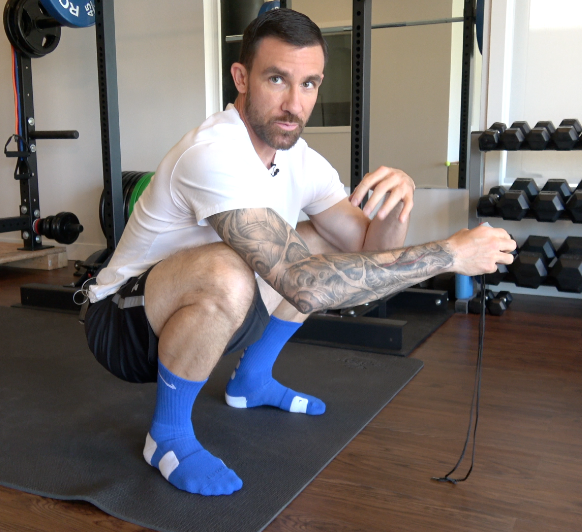 Low cable is the right way to load a split squat. If your right foot is forward your left hand is holding the cable. Easy peezy, lemon squeezy. Hey Mr. Trainer… How do I sled? The physiological benefits of sledding are scientifically certified. 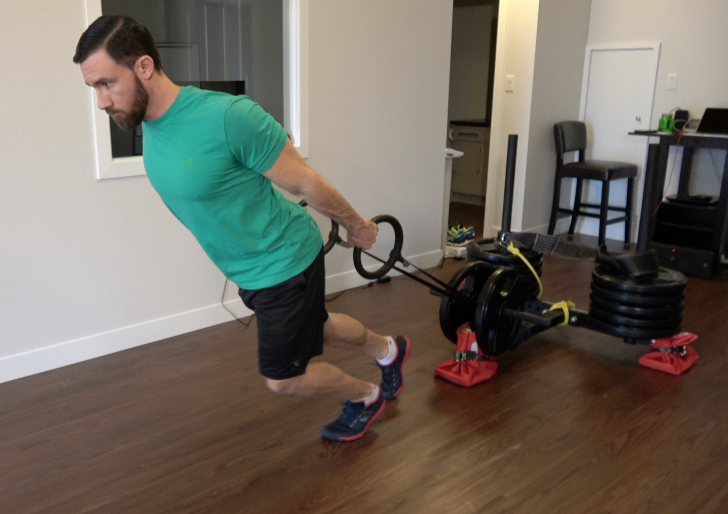 Here are the 6 main, lower body, sled push/pulls. Hey Mr. Trainer… What’s the best way to warm up? Dynamic warmups are proven to be the most effective at lubricating joints and increasing blood flow to the entire body while warming muscles. All of which are needed to prevent injury. Do 5 minutes of these 9 plyometric moves instead of hopping on a bike or treadmill. 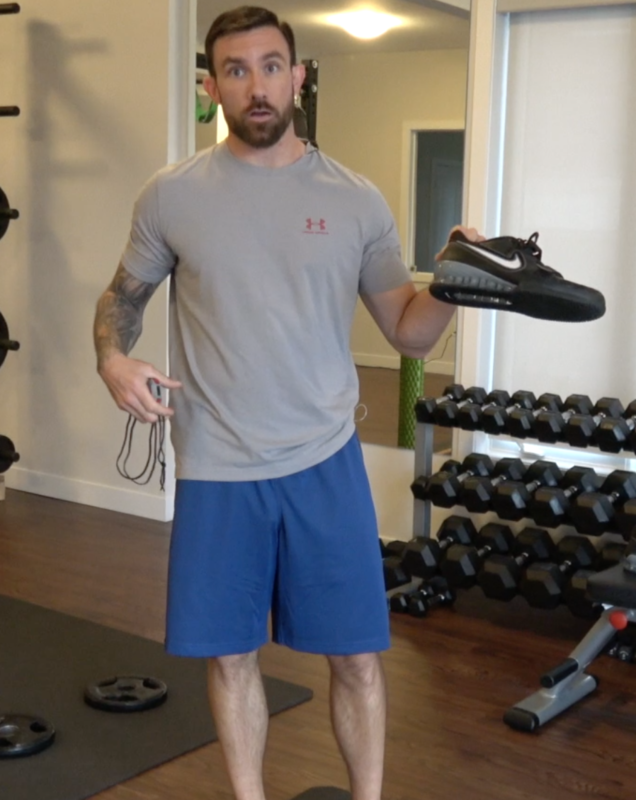 Hey Mr. Trainer… What’s the deal with squat shoes? Are they worth the investment? 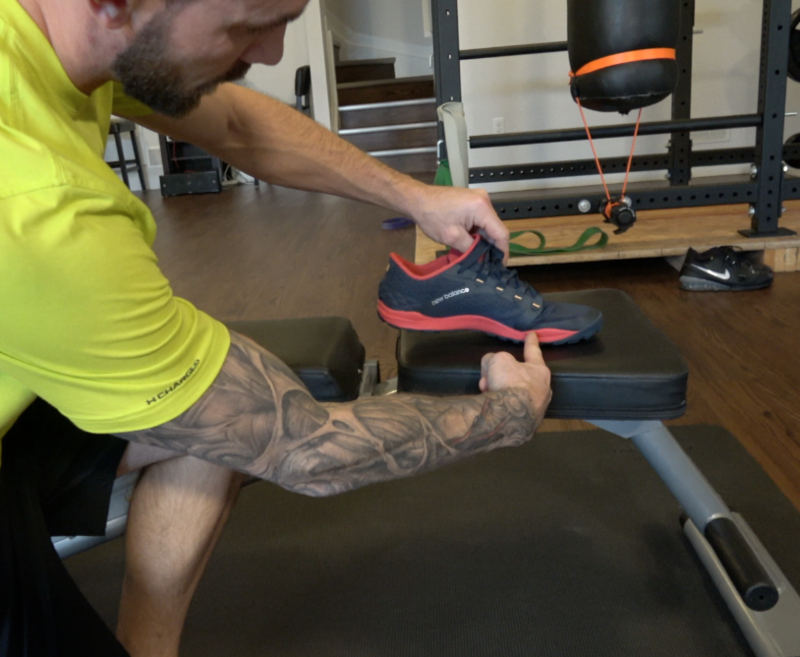 Squat shoes give you a hip advantage while squatting, clean and jerking and snatching. You don’t want to use them for anything else. Hey Mr. Trainer… Why skip? Skipping is a classic exercise that’s withstood the test of time. 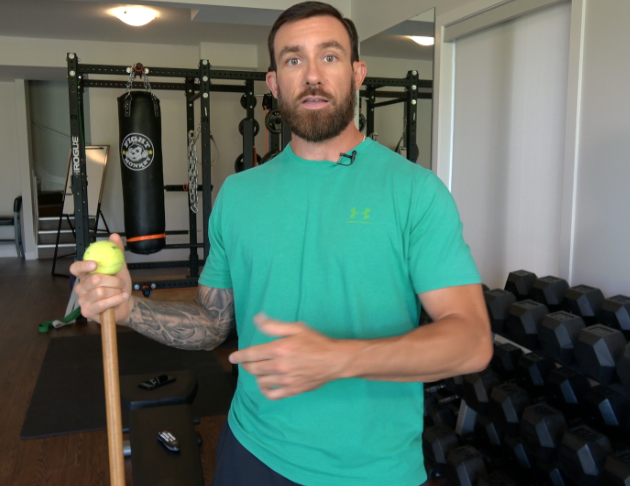 Make sure you follow these keys to skipping and you’ll reap the benefits while avoiding injury. 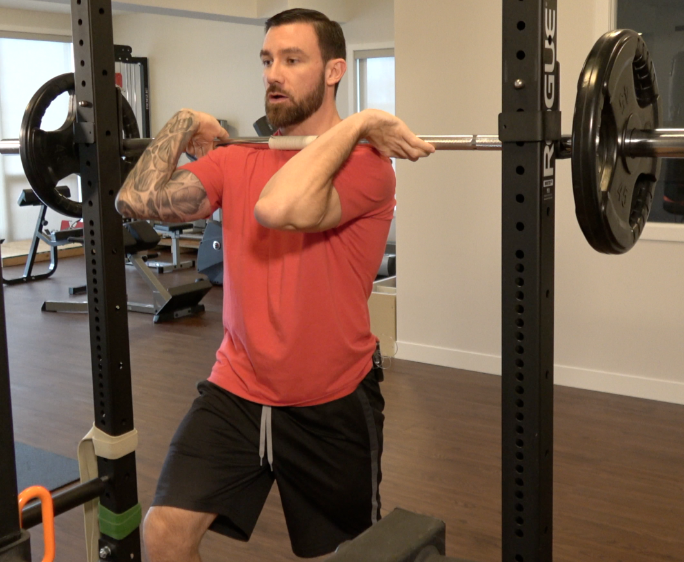 Hey Mr. Trainer… Front squat vs. back squat? 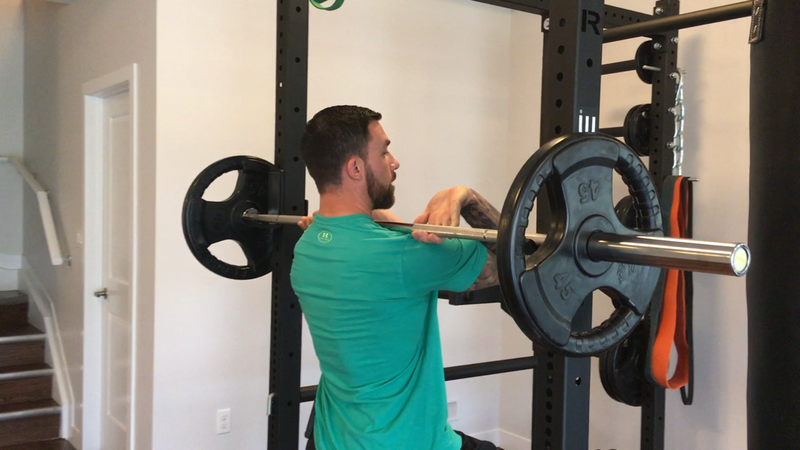 According to science, the front squat is slightly better for two main reasons. Don’t quit the back squatting though. Do them both. 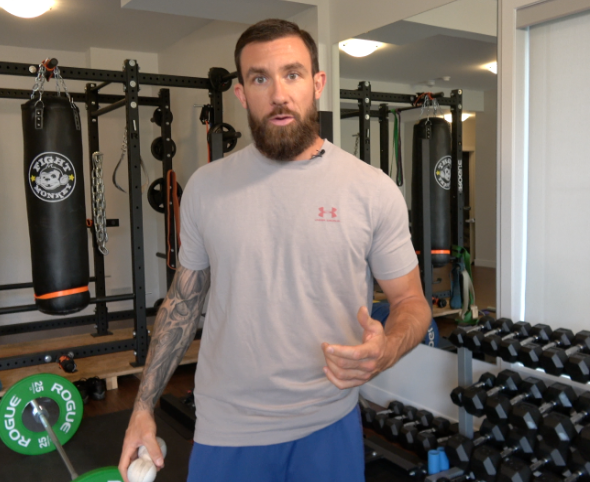 Hey Mr. Trainer… How important is varying my grip in overhead pulls? For structural balance purposes, cycle through the hand grips. Not in every workout but with every new program change to a new grip. Hey Mr. Trainer… Should I use straps? Don’t use straps …unless you’re working in a set/rep range where you can no longer hold the bar. Hook straps allow you to load and fire without messing up the loading order. Hey Mr. Trainer… What’s so special about pushup bars? 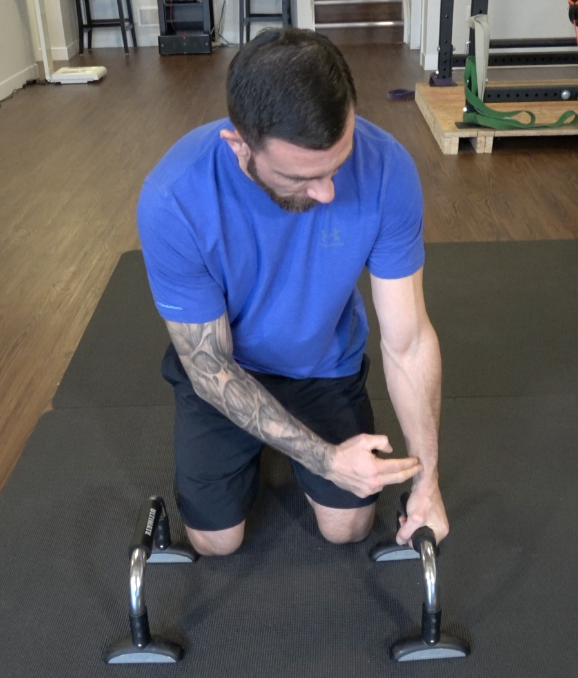 Pushup bars give you the ability to press with a neutral wrist position. This is the most anatomically correct way to press. They also allow you some extra depth range, if you’ve earned it. Don’t rush out to buy bars ..dumbbells double as pushup bars. Hey Mr. Trainer… How do I let sweat work? Sweat is a beautiful and natural physiological response to rid heat. Let it work its magic. 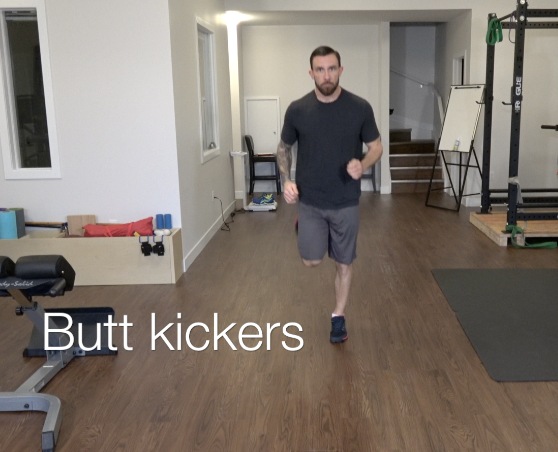 Hey Mr. Trainer… What is forefoot running? 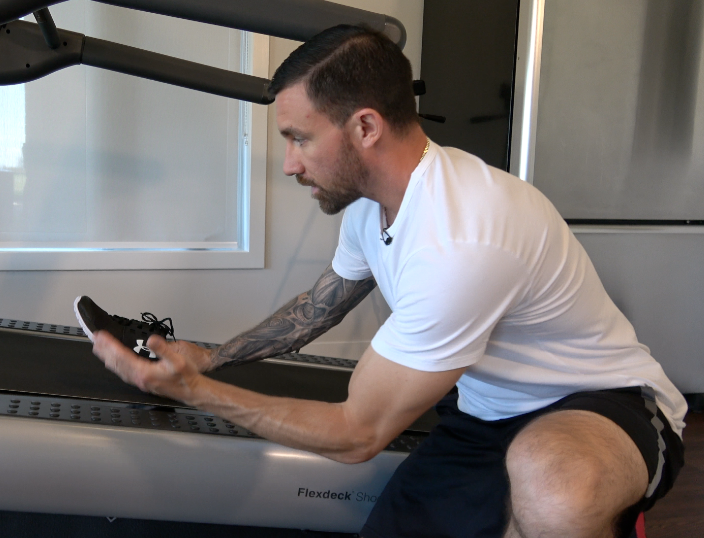 Forefoot running is the safest way to run causing the least amount of potential injury to your feet, ankles, knees, hips and back. It’s also the most effective way to run for speed. Hey Mr. Trainer …what is the most underused muscle? The glutes are the most underused muscles in the body in North American society mainly due to our quantity of sitting. They are very large muscles that are often overlooked. 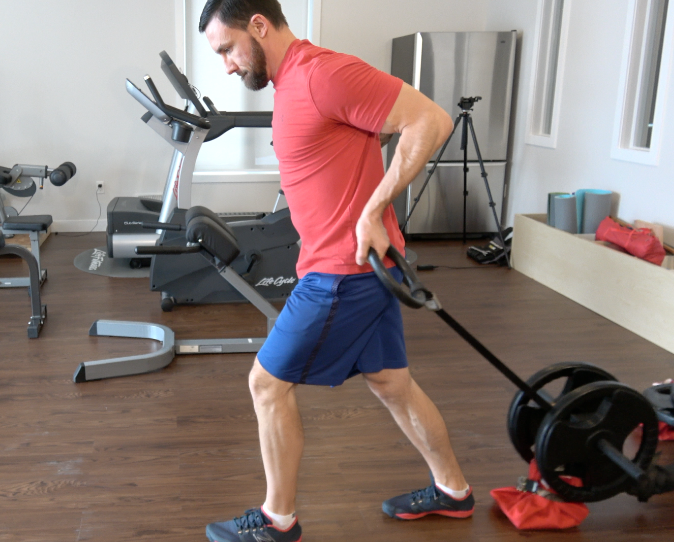 Add some single leg Romanian deadlifts to your life to get your rear in gear. Hey Mr. Trainer ..what is the weakest part of the body? What is the weakest part of the body? According to science, the low back is it. Having range in the 6 areas of the hips is key in being pain free in the low back region. However, it still needs to be worked for strength. Keep your ribs down as to not overextend and get it going. Happy extending. How do I breathe properly? Inhaling during the loading process is the best way to maintain good positioning through the lift. Exhale at the top and take some air for the way down. Proper breathing keeps the spine inline. How to burn the most amount of fat. Science proves to burn the most amount of fat, anaerobic, high intensity intervals are the answer. One take everything. Keep a straight and aligned spine for strength, structural balance and safety. Back pocket, front pocket. 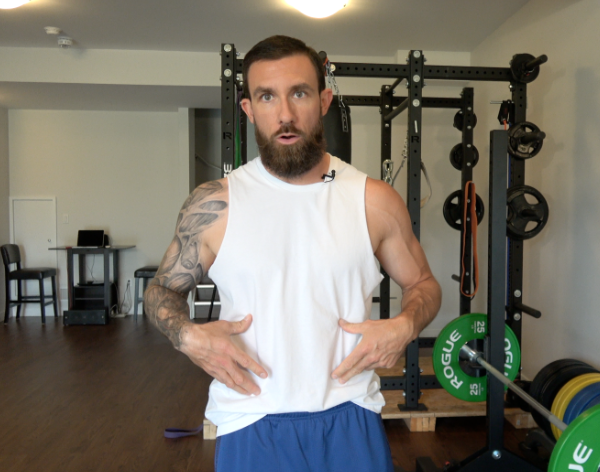 There are a ton of ways to work your obliques. Science has proven the best way to work them is to do the twist. Cable twists high to low and low to high are money, in the back pocket and front pocket. Don't bail on the front rack. It's a great thing. 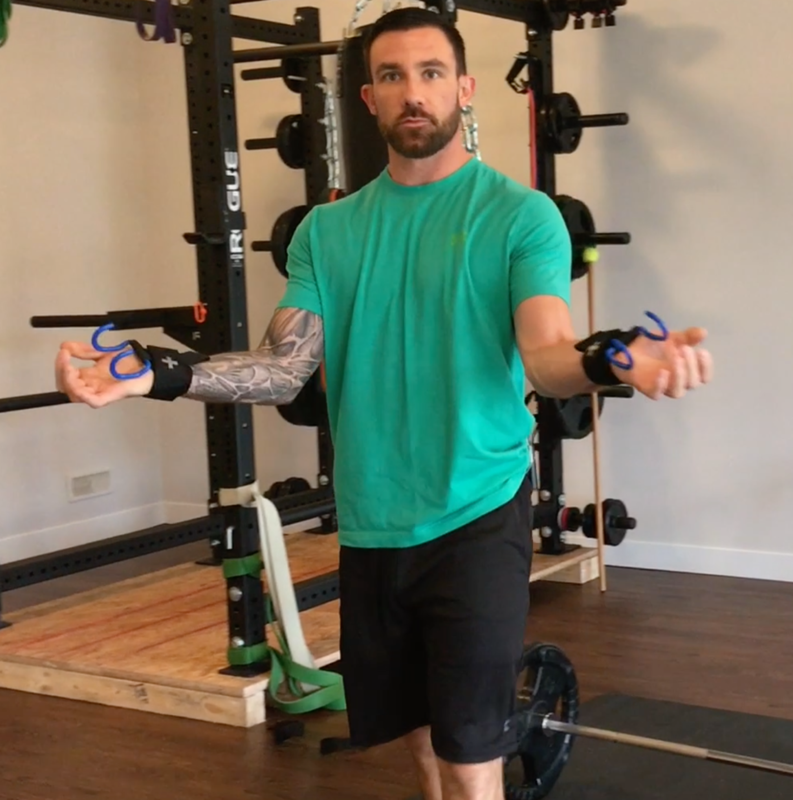 Work on your wrist mobility. It'll pay off. Incline treadmill walking. Don't hold on for dear life. Let your legs do the work.